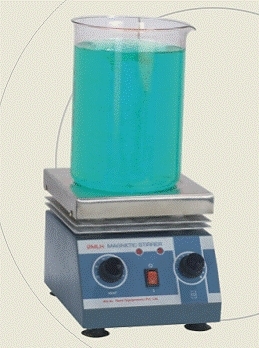 Ml Series Of Magnetic Stirrers But Have Additional Stainless Steel Hot Plate. Pmdc Motor Gives Higher Torque Even At Lower Speeds And Maintains Speed Stability Despite Visocity Or Volume Changes. Accurate Stepless Speed Control Allows Smooth Variation Up To 1200 Rpm. Heating Energy Is Controlled By Energy Regulator. �	Pmdc Motor For Higher Torque Even At Low Speeds. �	Better Low Speed Stirring Even With Small Volume. �	Accurate Stepless Speed Control Maintains Excellent Speed Staility. Remi Is One Of The Leading Players In The Field Of Laboratory Equipments, Blood Banking Instruments, Consumer Durables, Process Plants And Equipments, Induction And Geared Motors, Stainless Steel Pipes, Fans, Blenders, Oil Field Equipments, Etc. With A Huge Manufacturing Base & An Extensive Distribution Network, Remi Is Capable Of Technically Supporting & Lending Its Expertise To Customers Located Anywhere In The Indian Sub-continent. Quality Is Sacrosanct. In Its Quest For World-class Quality, Remi Is Equipped With The Latest Testing And R & D Facilities. All Critical Components Of Its Instruments Undergo Gruelling Qc Tests To Ensure The Highest Quality Standards. All-important Parts Like Electric Motors, Speed Regulators, Timers Etc. Are Made To Exact Specifications In-house To Maintain Quality Standards. Remi Products Are Now Exported To More Than 40 Countries Across The World. Table Top Centrifuges, Shakers And Mixers Are Now Available With The Ce Mark (european Standard For Safey & Emc). The Laboratory Instruments Division Of Remi Has A Documented Quality Management System In Place And Has Consequently Been Awarded Iso-9001:2000 Certificate For The Manufacturing Process.